Abraham Maslow first proposed his Hierarchy of Needs in a 1943 paper called “A Theory of Human Motivation,” and still as of today, his theory remains a popular framework in modern sociology and psychology. His theory is very simple: meet your basic needs and you will have unlocked the path for reaching your full potential. The basic needs are portrayed in a pyramid, with the most basic and fundamental needs at the bottom and further secondary needs at the top. One cannot move to the next level if the needs of the current level haven’t been met. 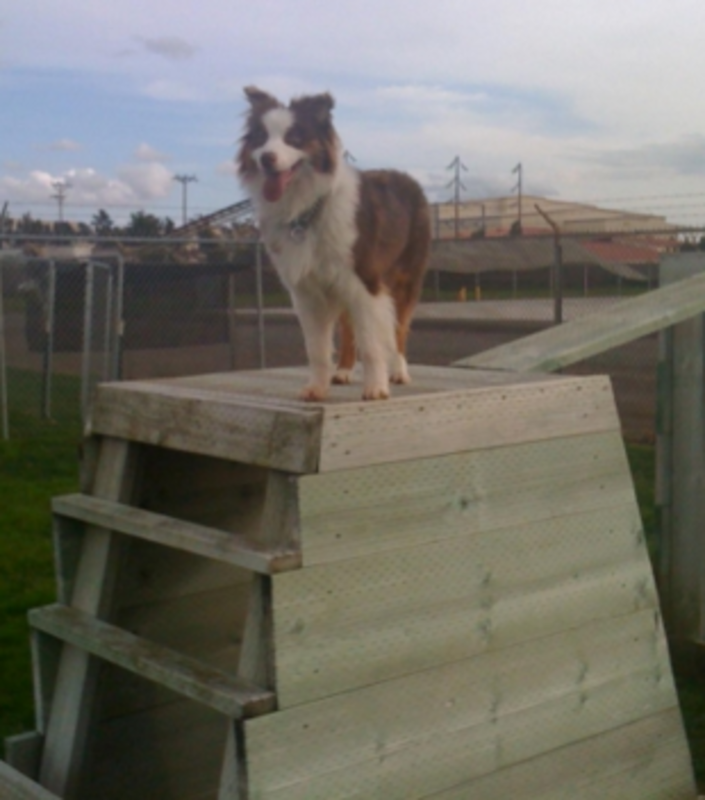 While Maslow designed his pyramid with humans in mind, similar principles can also be applied in dog training. Following are Maslow’s hierarchy of needs applied to a dog training context. Maslow’s hierarchy of needs (as seen in the picture on the left) are displayed in a hierarchical pyramid in ascending order to prioritize them. Physiological needs: these are the most important of your dog’s needs, they are basically the ones your dog needs in order to survive. Air, food, water, adequate sleep, veterinary care and shelter are examples of these important physiological needs. If dogs are sick, stressed, undernourished and sleep deprived, there’s little space left for learning as their biological needs must be met first. Safety Needs: Dogs need to feel safe and protected in their environment in order for learning to take to place as they cannot effectively learn if they are stressed. Dog training should be as stress free as possible and this means avoiding harsh, aversion-based training techniques. A structured, predictable routine is also reassuring to many dogs as they know what to expect. Love/Belonging: A history of trust and a strong bond with the owner is an important foundation. It’s important for dog owners to provide gentle guidance under the form of force-free dog training techniques. Play is also great way for dogs to bond with their owners and so can be physical contact when the dog shows signs of enjoyment. When there is a history of trust and bonding, dogs are more open to learning and they look forward to being involved in family activities. As social animals, dogs like to feel part of the family. Esteem: Think only humans have self-esteem? Then, think again. Dogs thrive when they are praised and rewarded for a job well done. Training should focus on making the dog feel confident and setting the dog for success. As shy, tentative dogs are trained using positive reinforcement, they gradually become more and more confident. 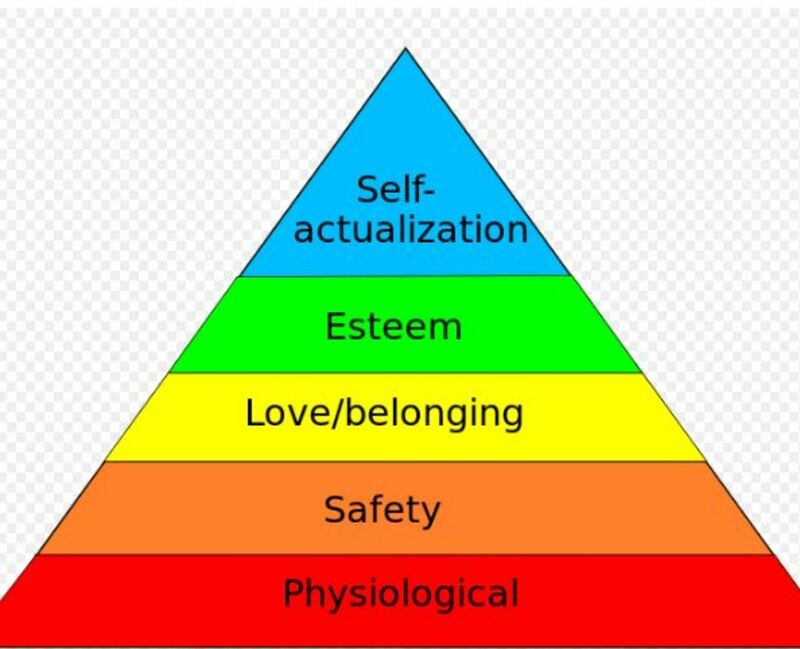 Self-actualization: at the apex of the pyramid is self-actualization which entails achieving personal growth and reaching one’s full potential. However, this doesn’t necessarily mean reaching perfection. Every dog has the potential to excel in some area of specialty. Identifying what your dog does best is key to allowing him to thrive. Building on his passion by refining his skills and adding new challenges help keep the dog mentally stimulated and happy. There are many new sports and specialties crafted for dogs nowadays and these include Treibball, canine nosework, Rally Obedience, hunting trials, search and rescue, weight pulling, Canine Musical Freestyle and many more. Even simple things like trick training and letting the dog complete small chores performed at home can help give dogs a feeling of confidence and achievement.